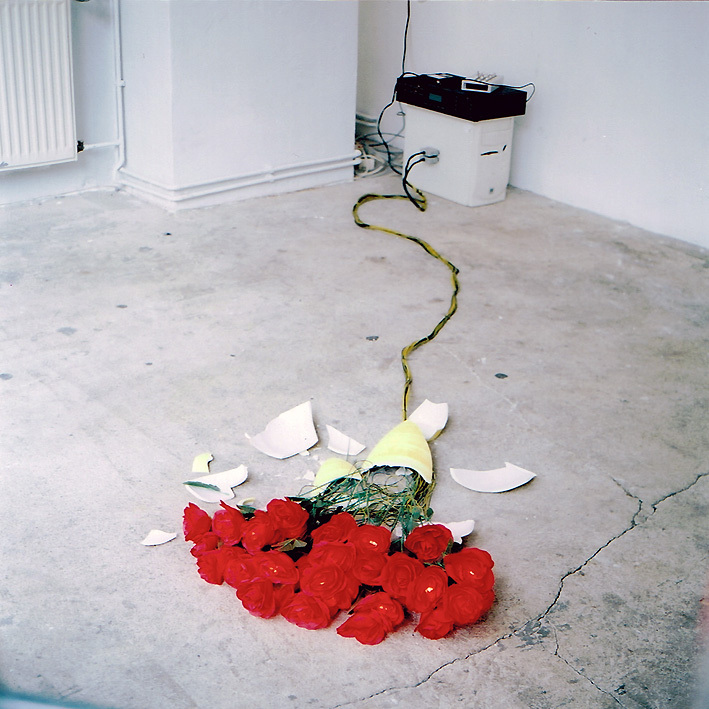 Goethe-Institut Budapest 2000, 88 – Verein für Kunst & Kultur e.V. 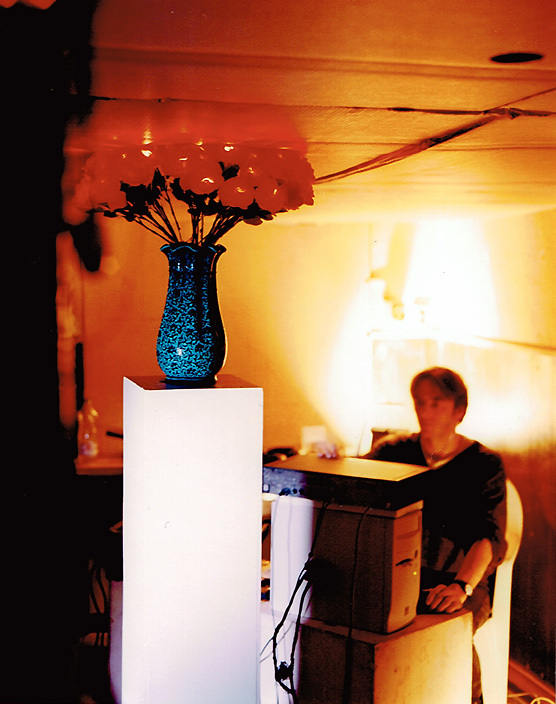 Hamburg 2000, Audio Art Festival Cracow 2001, Kulturforum Gut Wienebüttel Lüneburg 2001, Rohkunstbau Wasserschloss Gross Leuthen Spreewald 2003, Schwartzsche Villa Lesung mit Wiebke Frost und Stephan Baumecker Berlin-Steglitz 2012. 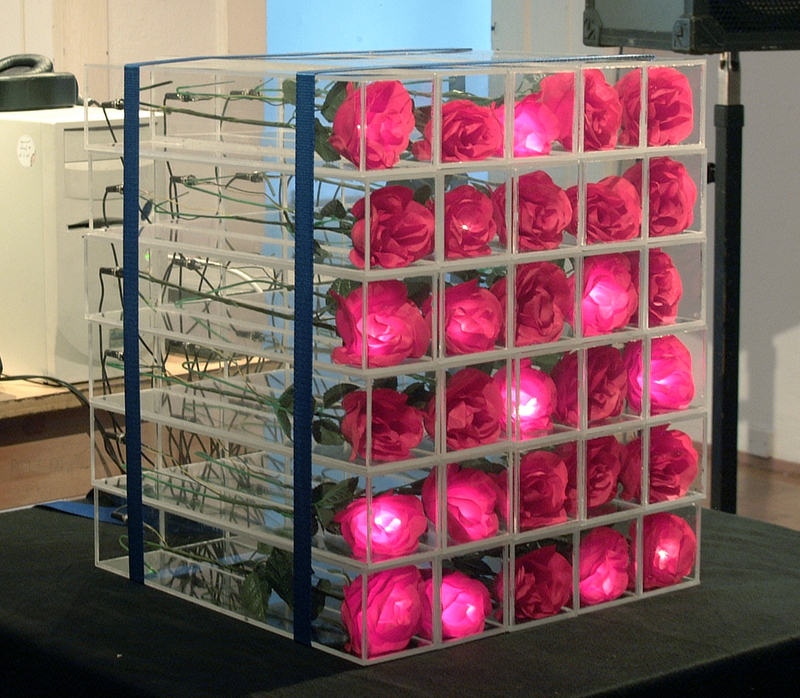 30 light objects in the shape of roses control sounds via an unique volt-to-midi interface. 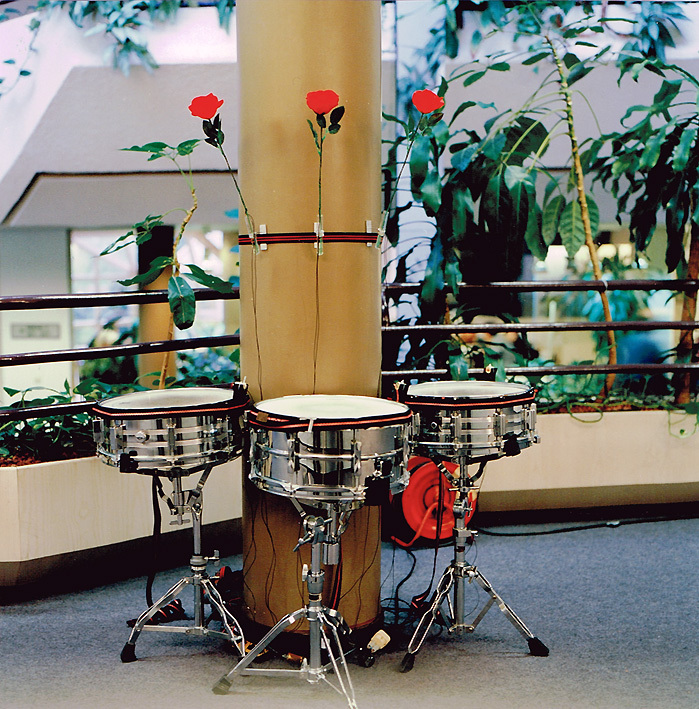 It is specially constructed for this objects and triggers a sampler. The roses contain a bulb in their flowers. Inside those bulbs, a bi-metal mechanism reacts on its own body heat and makes them turn on and off in a random interval. This informations, as well as the changes of voltage (velocity parameter) are transformed by the interface into midi signals and trigger 30 sound fragments stored in the sampler. 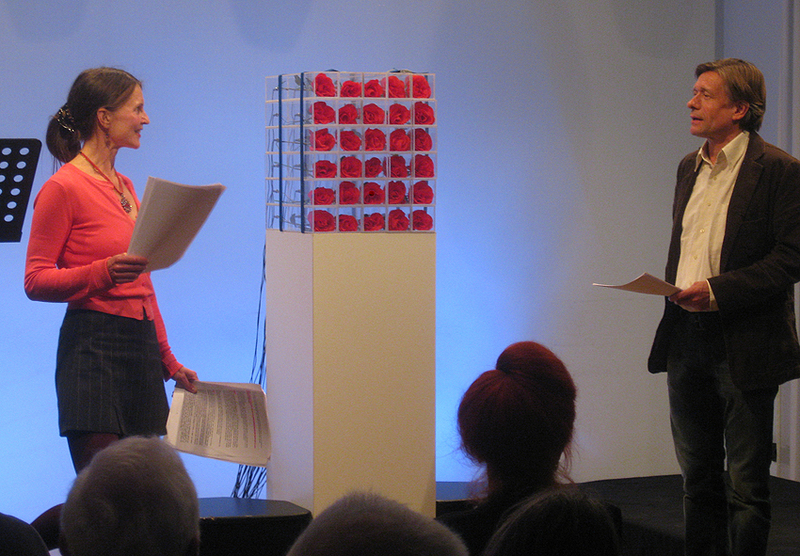 In the concert the light objects are controlled (activated/deactivated) according to a certain dramaturgy. Since the interval of shining triggers the sounds, the constellation of the sound appearance happens randomly as well as the modulation of the sounds, controlled by velocity. 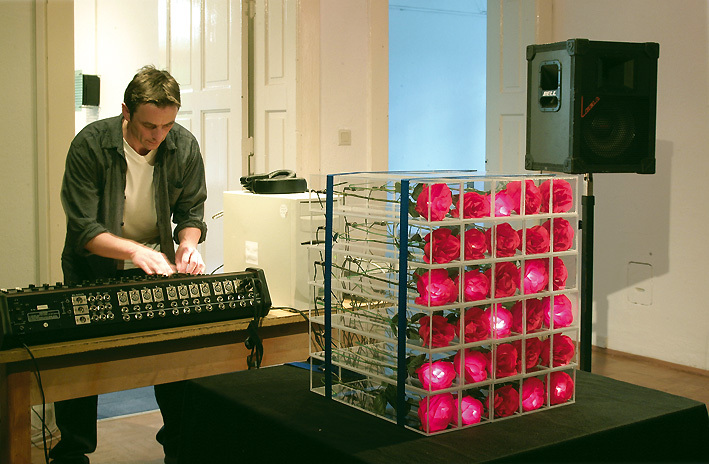 The ROSEBOARD can also be presented as a self-playing instrument in terms of an installation.